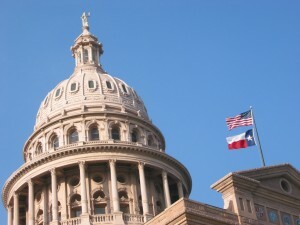 The Board of Directors of Preservation Texas has approved its 2015 State Legislative Advocacy Agenda. Additionally, we will monitor other proposed legislation for its impacts on historic preservation in Texas, developing appropriate strategies to raise awareness of important issues throughout the 2015 session. Preservation Texas was chartered in 1985 in part to serve as an auxiliary to all agencies of the State of Texas concerned with our history, heritage and the preservation and maintenance of significant areas, sites, buildings, monuments and artifacts. PT has established three legislative priorities for the 2015 Texas legislative session. Collectively, these agency-driven priorities create a cohesive set of public investments and private incentives that provide the basis for a transformative approach to community redevelopment statewide through historic preservation. PT supports the Texas Historical Commission’s request for $40 million from general revenue. This puts funding back on track from its current appropriation of $4.2 million to its historical average from 1999-2009 of $41.4 million. 76 historic courthouses have completed master plans and are awaiting funding. Courthouse restorations create local jobs, enhance heritage tourism and enable the continued use of valuable historic infrastructure. The SGST was created solely to provide a funding stream for Texas Parks and Wildlife and the Texas Historical Commission. The tax generates about $250 million per year, yet nearly $200 million is diverted away from parks and historic sites to other budget purposes. By allowing these funds to be used for their intended purpose, millions of dollars will be invested in developing and maintaining state parks and historic sites. The credit goes into effect on January 1, 2015, and it creates a major incentive managed by the THC for the rehabilitation of historic places statewide. It is essential that Texans understand the value of this credit and ensure that any proposed legislation in 2015 only strengthens its provisions.